Do you want to start or grow your own business, go international, or avoid bankruptcy? In this business and management course, you will learn the key steps to take to design or innovate your own business model. You will learn about the trade-offs to be made, and the design issues that are critical for a viable and sustainable business model. This course will help you answer questions like, how do I create a simple business model in a structured way, how do I engage my users and how do I create value for my customers as well as revenue for my company. 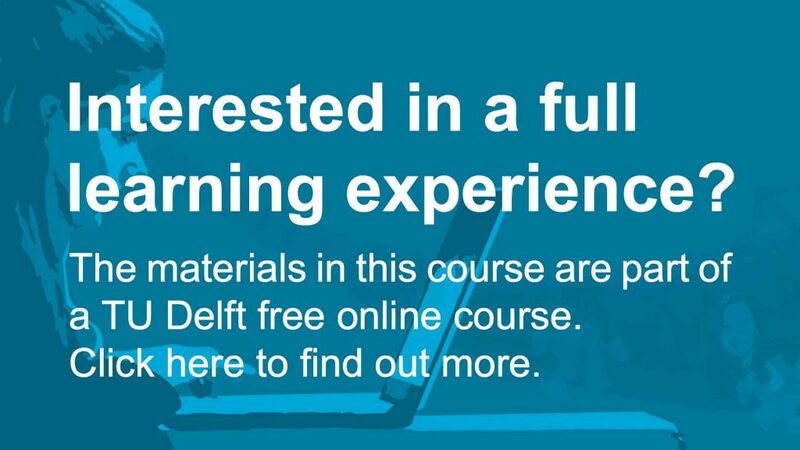 How to Design a Successful Business Model by TU Delft OpenCourseWare is licensed under a Creative Commons Attribution-NonCommercial-ShareAlike 4.0 International License. Based on a work at https://online-learning.tudelft.nl/courses/how-to-design-a-successful-business-model/.